Celtic Heroes Lancers Of Lir Update Released! Home News Celtic Heroes Lancers Of Lir Update Released! Lancers of Lir Update: The Battle Mounts have arrived in Farcrag Castle! • Ride into battle and master the new Battle mount ability! • Roam free across a redesigned Lir’s Reach. • New Fishing areas available in Shalemont Ravine and Stonevale. • Two new sets of epic fashion, Faewynd and Wintermyst. • Additional high level bounties available from the Bounty Board. • New Boar and Spider pets to battle alongside and train. All bounties now guarantee a drop of a bounty token, helping heroes towards their Pet / Battle Mount of choice. New increased rates at which mount and pet tokens are gained from sunken chests. New increased drop rates of bear quest items from fishing. This means a 25% decrease to spawn time for Hrungnir, Mordris and Necro, 33% for Aggy. Improved drop rates for higher tier loot items on Mordris, Necro, Hrungnir and Aggragoth! Removed Bandage Wounds Bracelets from Mordris loot table. 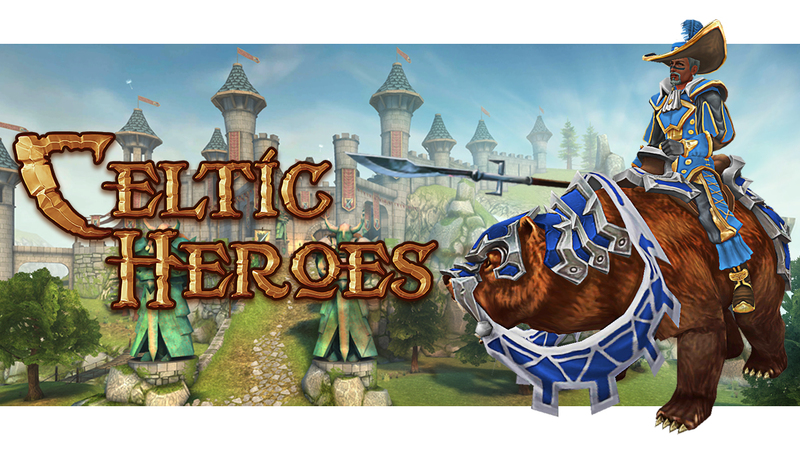 ‹ Celtic Heroes Tides of Fate Update Released!